As we recently explored, the Internet of Things is starting to appear in our lives and this means not only great strides in software and network development but also a resurgence in the love for hardware. Much as we love to obsess over the data we’re generating and work out interesting ways to put this to good use, there is also a need for nice objects that collect data and even help to automate our lives. At LeWeb, Jamie Siminoff, who you might recognise as the CEO of Unsubscribe.com, now a part of TrustedID, described the crowdfunding platform for hardware, Christie Street. However, he’s not just talking about neat hardware, he’s also creating it and the first product on Christie Street is Doorbot, a doorbell with a video camera that links to your mobile so you can effectively answer the door from wherever you are. Check out the video for more on how it works. The commitment required to create a physical object can be expensive and time-consuming. It’s not a challenge that everyone is willing to take up, especially when there are so many ways to enable people to create for the Web alone. So inventing objects is no longer the realm of crazy guys hiding in the shed making Heath Robinson-style contraptions anymore. Siminoff hopes that Christie Street will help more inventions see the light of day (or even electric light, as Christie Street as the first to be lit with Edison’s electric lights and home to the Edison Centre at the Menlo Park Museum in New Jersey). So, with so many things to invent and some great ideas coming from the stable of networked objects, why make a doorbell first? It appears that necessity was the mother of this invention. Excitingly, Siminoff has greater ambitions too. “For us this will not be the only product we do, it will be one of many. Because of the Internet enabling everything at this point via mobile, it really makes sense,” he says. Working via the cloud is opening up opportunities for a number of new products and open architecture is already creating partnerships and new ways of working between them. 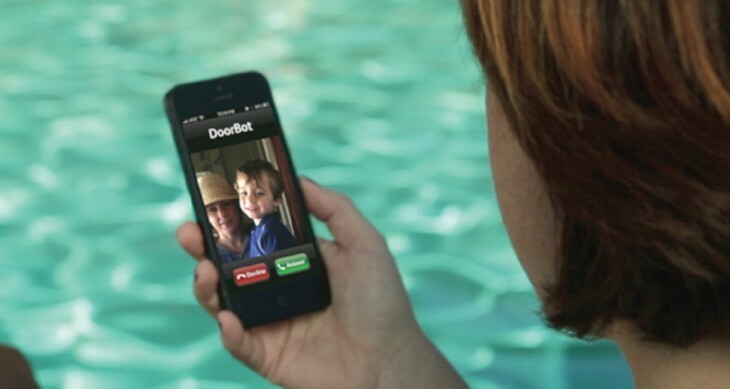 The Doorbot works well with Lockitron, the remote mobile way of locking and unlocking doors – this makes a lot of sense, if you can see who is at the door via a video feed to your mobile, you might want to also remotely let them in. Imagine that happening between large well-known Internet brands? Yeah. Keep dreaming. So when it comes to new products emerging on the market, how can platforms like Christie street encourage a sense of trust among consumers that will encourage them to buy? Siminoff says that already the emerging products are seeing a promising start. More power to the maker. And if your idea doesn’t fit with Kickstarter under its prohibited items list as Lockitron found out and described at LeWeb, it’s possible that your project might find a hardware home on Christie Street.